Positive: Robust design; good keyboard; very high performance; good speakers and a built-in subwoofer; fast HDD; very easy access to components; position of the ports. Negative: Noisy cooling system; hot under load; poor microphone and camera. 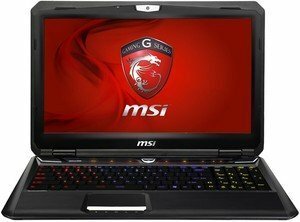 MSI is well known for a multitude of options in the gaming notebook market segment. The MSI GT60 2PC - 464XPL DOMINATOR is another machine that delivers where it matters. 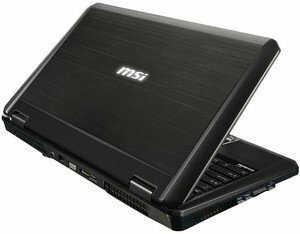 The Windows 8.1 notebook has a familiar design employed by MSI right up to the black chassis and SteelSeries keyboard, which allows users to customize the background light. The notebook comes with a 15.6" Full HD (1920x1080), anti-glare screen with good clarity and colors. There is an NVIDIA GeForce GTX870M GPU with either 6 GB or 3 GB GDDR5 graphics memory; depending on the configuration selected. At the core of the device is a 4th generation Intel Core i7 48000MQ processor and DDR3L 1600 MHz support up to 32 GB. The storage is a combination of up to 384 GB Super RAID 2 + 750 GB HDD 7200rpm and the notebook is equipped with either a BD Writer / BD Combo / DVD Super Multi; again depending on the variant. 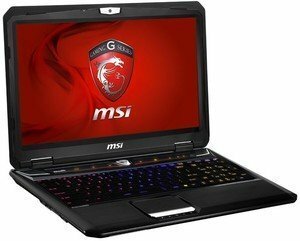 The MSI GT60 2PC - 464XPL DOMINATOR comes with a 9 cell Li-ion 7800 mAh battery. Other features include Killer E2200 Game Networking, Cooler Boost 2 technology and XSplit Gamecaster for game recording capabilities. The total weight of the notebook is 3.5 kg.